Twickenham Stadium has unveiled The Patch as part of the stadium's summer events portfolio for event professionals. The Patch is a stretch of grass outside the stadium's West Stand, which has been created for sports activities, garden parties and outside BBQs either for stand-alone events or as an addition to existing conferences or banquets. The Patch represents just one of a series of options at the stadium and follows on from the launch of the newly developed East Stand. The new stand is home of the British Airways Rose Garden, which will be open for its first summer and offers an outside / inside space, with pizza ovens, rotisserie, a stage for a live band and a large bar in the centre of a contemporary and relaxed space. The East Stand also holds The Lock, which is also open for summer dining events with a pitch-view. The Patch itself has been designed to complement the pitch side dining already available at the venue, but also allows more sports activities and teambuilding to take place away from the main pitch as well. The new space was designed following client feedback, and caters for both incentive companies and event organisers, looking to combine incentive programmes with conferences or large meetings. 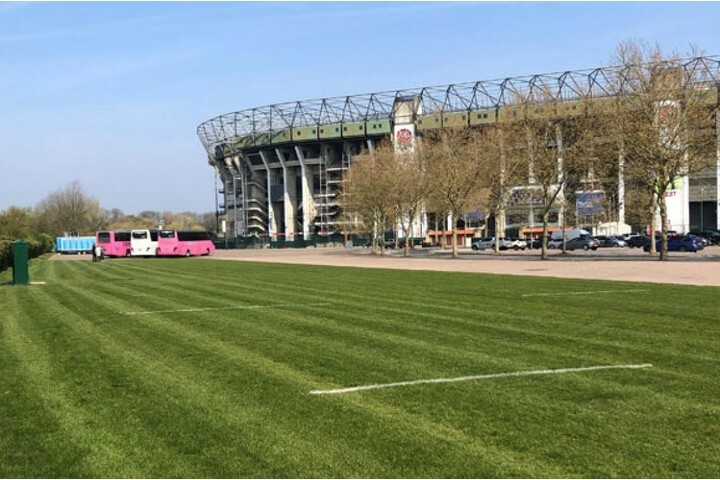 "When we launched the East Stand we wanted to try and encourage event organisers to think differently when choosing Twickenham Stadium," commented Nils Braude, catering and conference & events director, Twickenham Stadium. "Now we've reacted to their own feedback and provided them with an outside space that means they can combine different event formats at the stadium and make full use of the facilities we have here."